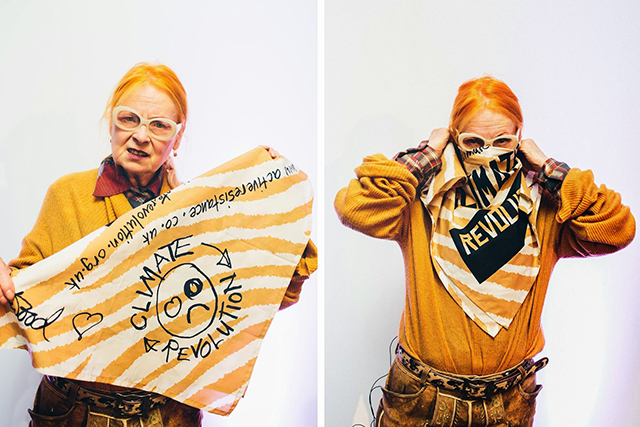 At the end of last year it was announced that a documentary dedicated to the one and only Vivienne Westwood would be released in 2018. Naturally, we rejoiced and marked our calendars for the film’s release on March 31st. However, the latest news is that the iconic designer does not want to be linked to the film – titled Westwood: Punk, Icon, Activist – in any way. In a statement posted on Twitter, Westwood’s team expressed her disappointment in the documentary. According to the label, the original concept from director Lorna Tucker was around Westwood’s avid interest in activism but the final film features “not even 5 minutes” on the topic – instead they say it is mostly made up of archive fashion footage. “It’s a shame,” the statement reads. “The film is mediocre, and Vivienne and Andreas are not.” This statement comes as the doc is competing at Sundance this week in the World Cinema Documentary category.